Whether it’s purchase ledgers or accounts payable files, you and your staff spend a great deal of time ensuring everything is logged and filed correctly. 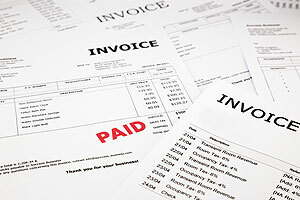 In business, time is money so you are also spending a great deal of money on invoice processing too. Come on, it’s time you took a step in the right direction and claimed back that wasted time and costs. Scanning invoices offers the opportunity to speed up processing and brings an efficient storage means for future access to your documents. In an increasingly digital world, many business processes are going digital. Networking is done through online means such as email and social network and very rarely will you find an office which doesn’t have at least a small handful of computers for staff to complete work on. So with this focus on digitising businesses, it has always seemed strange that invoice processing has been slow to go digital. Nowadays however, more and more companies are looking at scanning and digitisation to save expensive office space and increase productivity in the office. Other companies don’t often realise the negative effect the way they handle invoices can have on the entire business so let’s take a look. How Much Am I Currently Wasting? Let’s say you currently employ three members of staff to deal with invoices every day. These staff members spend all day manually processing hundreds or even thousands of invoices. They also need a dedicated space/office to do this work and also the use of computers, electricity etc. So not only does this method waste a huge amount of time but you can also see that costs and space are affected to. By going digital with invoices and outsourcing the work to scanning services, you won’t need these members of staff who can be moved to another area in need of extra staff such as customer services. The space they were using can be used more efficiently for another department or rented out for extra revenue. Most importantly of all, your invoices will be scanned and indexed quickly with no wasted time and made accessible through simple text searches in an efficient document management system. With the boost in efficiency you can get by scanning invoices, how can you settle for a slow manual process any longer? Pearl Scan’s invoice scanning is a popular service which can be tailor made to suit the needs of any company from which digital format you want your invoices converted to and document delivery method to indexing and optional OCR processing. We can collect your documents on a monthly, quarterly or annual basis using our secure nationwide collection service and all of our services a fully accredited with security certificates. We use data capture software to scan all of the relevant data quickly and easily. So, how can you process invoices quicker? With Pearl Scan of course! For more invoice scanning solutions explore the website or get in touch today for a free, no obligation quote for your project.